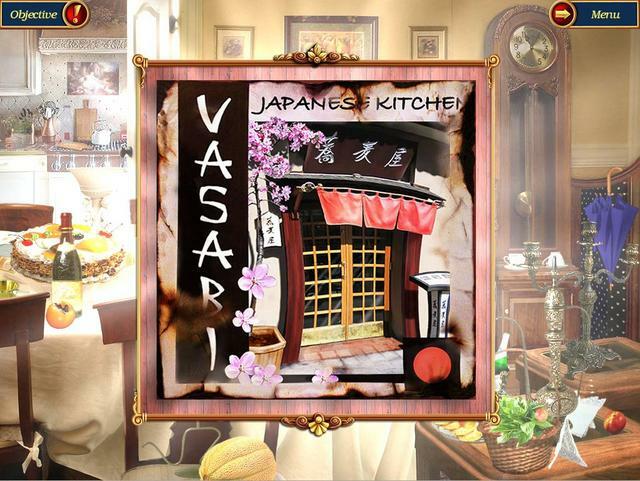 Mystery Cookbook was available as a giveaway on December 1, 2018! 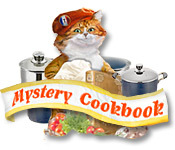 How would you improve Mystery Cookbook? 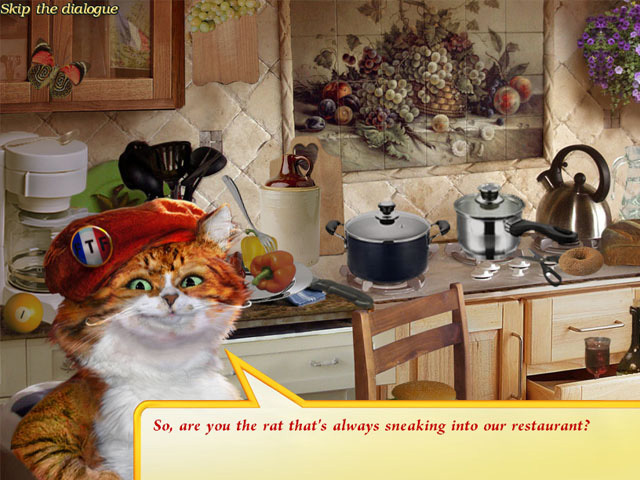 Boot up this attractive hidden object game and you’ll meet Mousy, a rodent who wants to master the fine art of professional cooking. To help him achieve this lofty goal, you’ll meet many bizarre animal characters, visit nearly a dozen locations and search for hundreds of well-hidden items in order to find pages of a secret cookbook. 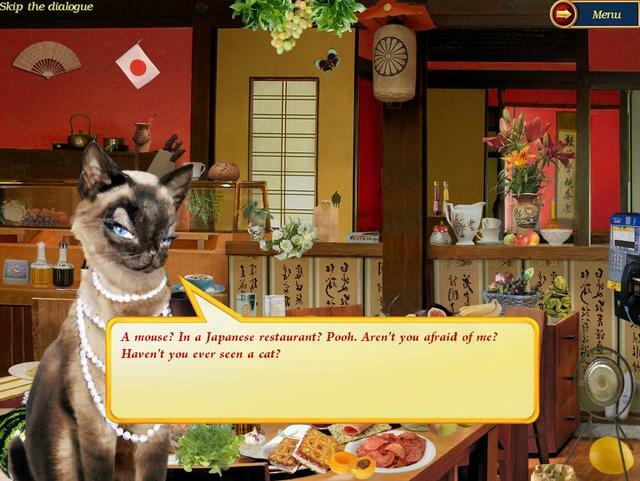 If you don’t like the humorous dialogue between Mousy and a cat, dog, fish, bird, hamster and so on, you can just click to fast-forward to the game-play. 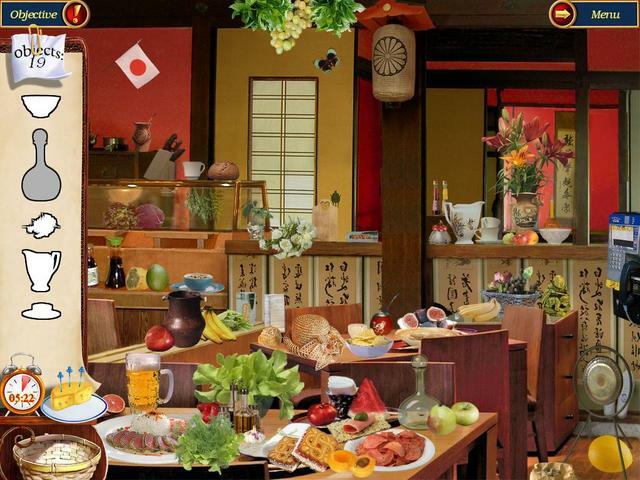 If you’re familiar with hidden object games, you’ll have no trouble playing Mystery Cookbook: players are presented with a busy scene, such as a restaurant kitchen, and a number of items to find, such as a fork, wine glass, basket, apple or flowers. Sometimes you’ll see the items listed as words, like "bread," while other levels will show you a silhouette of an item to find, such as an outline of a sugar bowl, and you’ll need to look for it on the screen. 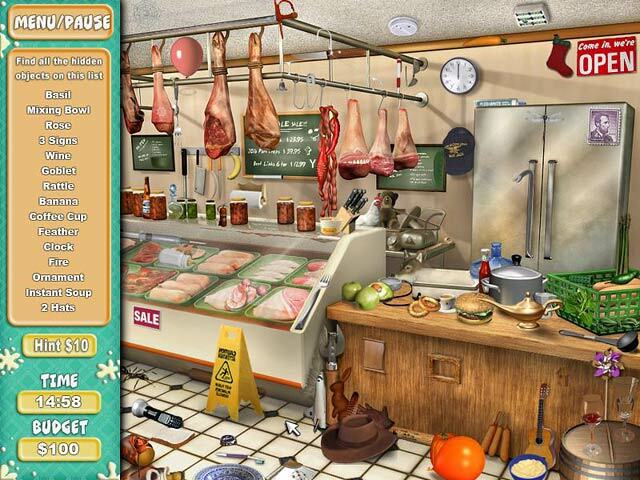 You must find all the items within the allotted time or else you need to replay the level. Click on the wrong item a few times and 20 seconds will be removed from the clock as a penalty. If you’re stuck, you can click on the cheese platter for a hint, and in order to replenish this plate you can find bits of cheese hidden on the level. Players are also given a specific task for the level, which is tied to the story, such as finding a pocket watch, menu, eyeglasses, brochure or page from a cookbook, and so on. 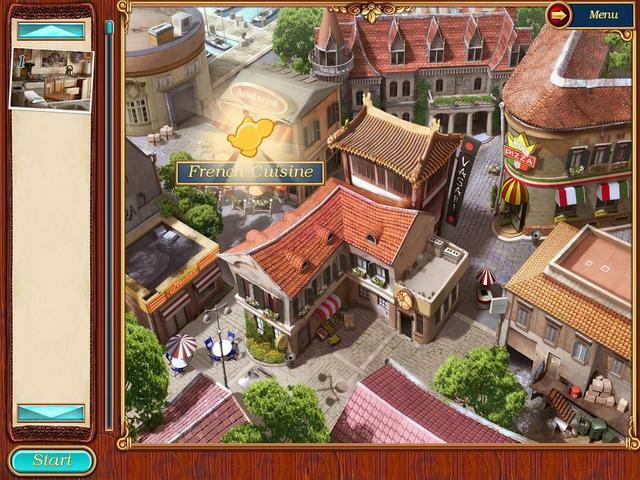 Allegedly the game has more than 800 objects to find, which is enormous. 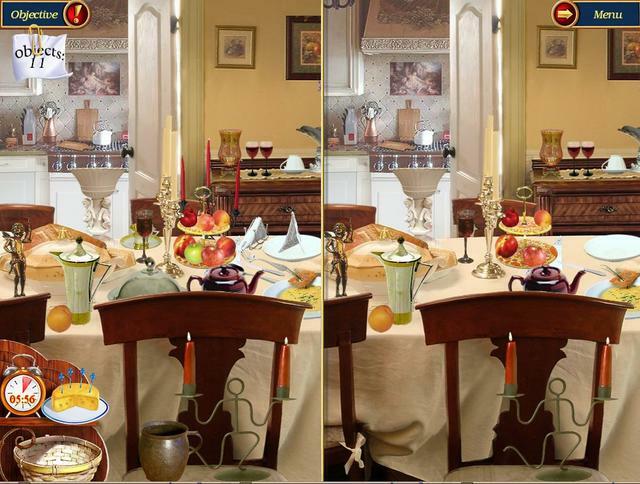 Mystery Cookbook also offers six types of mini-games that pop up every few levels or so, such as a tile puzzle that challenges players to rotate blocks on a 5×5 grid to form a scene; spotting the differences between two similar images; or finding a specific number of similar items in a scene, such as cups. Besides the "me, too" game-play, Mystery Cookbook has its share of annoying problems. For one, I was instructed to find and click pieces of cheese on the level, but when I clicked on what was obviously a piece of brie, it cost me some time off the clock as it wasn’t one of the ones I needed to find for some reason. 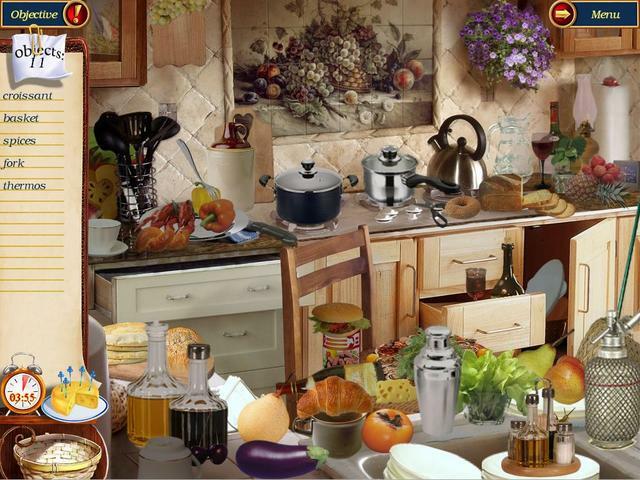 There are also some confusing items listed like "can," but it turned out to be a glass jar, and "pots," but when I clicked on two pots on the stove, I lost points (it was a third bronze pot off to the side). A third issue is when you need to replay a level if you run out of time, the items stay in the exact same place the second time around so it makes it too easy to finish it since you know where everything is. 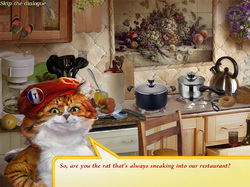 As a fan of Alawar’s games, I really wanted to like Mystery Cookbook, but couldn’t get past these annoying shortcomings. 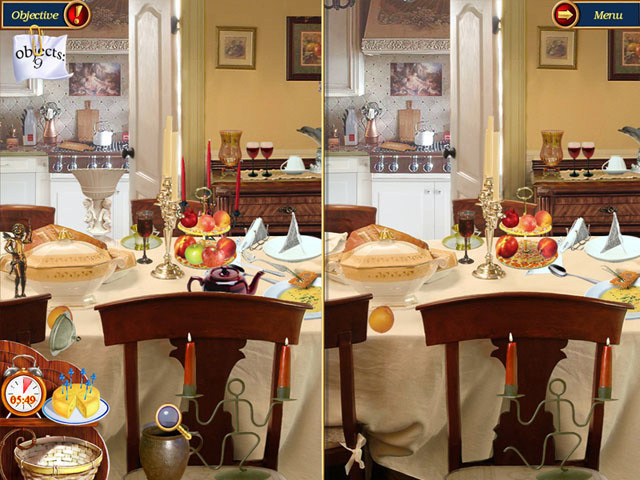 Sure, if you’re a serious fan of hidden object games you might enjoy playing through the trial but be aware these issues exist, which will likely eat away at your patience. 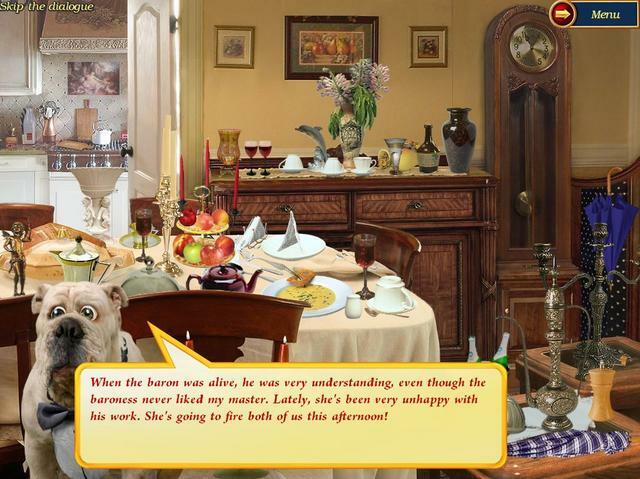 Mystery Cookbook is a reasonable hidden object game with a humorous story and graphics (the dogs eyes made me laugh). 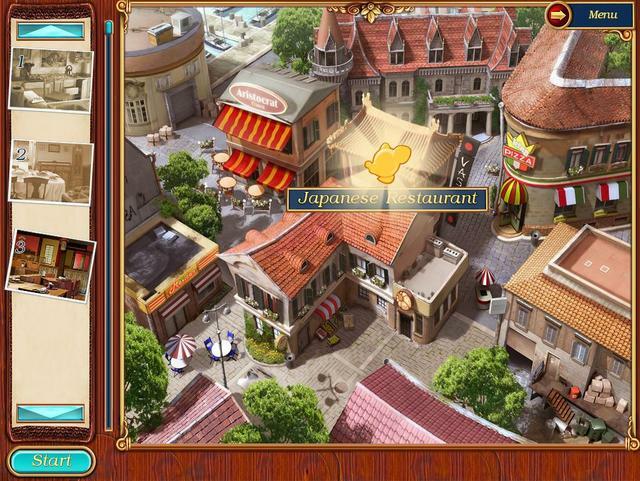 The mini games are relatively easy, but do add the the playability of the game. There are loads of items to find, some by Silhouett, some by name. However, there are some confusing item descriptions for example The egg plant (US). Here in the UK we call them aubergines and in South Africa and South Asia they are called brinjal. some instances, it seemed impossible to click on all listed items, also, if you replay the level, the items are in exactly the same place, reducing the replayability of this game. Personally I found the game much too easy, sailing through the first several levels very quickly; despite this I would still say the game is worth downloading, especially if you like traditional HOG's with easy game play. The cut scenes are a little distracting, but you can skip those if you wish. I'd score this a 6.5 out of 10 for game play, 8.5 for ease of play and 7.5 for graphics. You can see several in-game videos of game play HERE, HERE, HERE, HERE German), HERE, HERE & HERE and written walkthroughs/strategy guides HERE & HERE. If you're having problems installing or activating or getting Mystery cookbook to work please visit the FAQ's Thread HERE and read through the communities comments because sometimes fixes have already been posted, for example, a common issue seen since the Themida wrapper was introduced three years ago is that some community members installation of the game are blocked by their security because Themida code has been known to hide malware, (usually an error message is flagged for example 'The executable is corrupted' even though in reality it is not); so as a precaution some anti malware programs will block and even delete the suspect installation files even though the files (i.e. the setup, read me and setup.gcd files are actually totally free from malware. This issue can be solved either by rebooting your computer in safe mode with networking or a quicker method is to temporarily turn off your security software to allow the installation. You could also try white-listing the setup.gcd file. In the almost 12 years this game giveaway site has been operating there has 'never' been a game given away that was infected with malware. 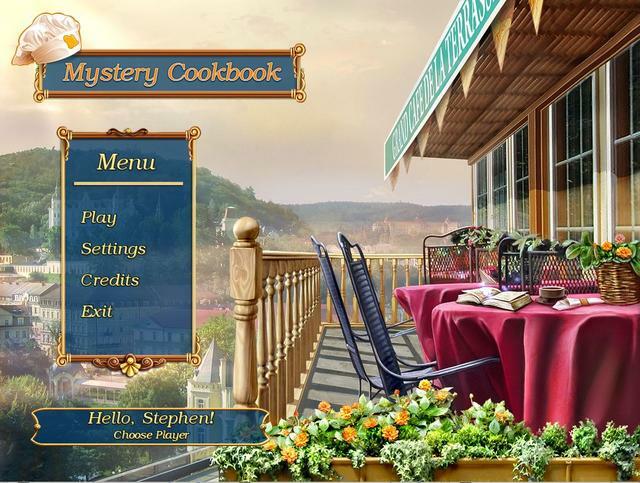 I'd like to take this opportunity to thank MyPlayCity for giving away Mystery Cookbook and also to the game giveaway team, as always, for securing other ways to get free games. 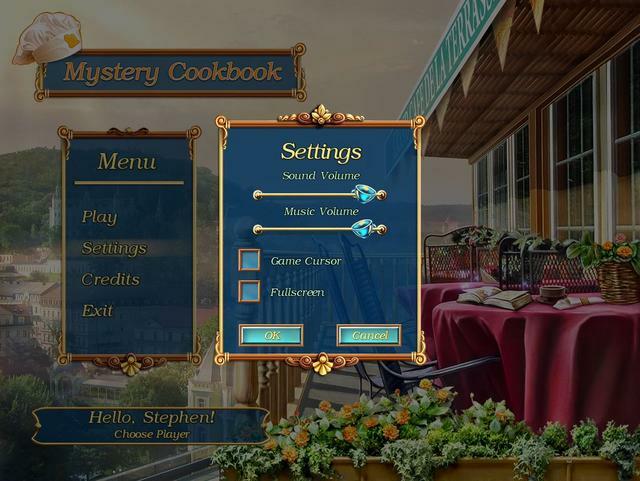 If Mystery Cookbook doesn't interest you, but you still hanker for something new to play, you'll find details of some game deals whether they be sale items, indie bundles or games being given away for free HERE (I've not updated the thread in a while, but most of the links still take you to the latest deals). Downloaded and installed fine on w10 64 bit. Easy download and installation. It's a cute little game. The dialogue and story line are more appropriate for children; however, if you only want to play the scenes, you can turn off all the dialogue. I don't think we can turn off the timer; however, the time seems to be adequate, and there are always hints to help us. The scenes are nicely done - colorful and realistic. 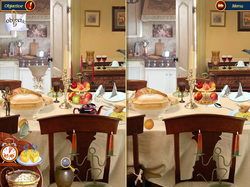 The objects are the correct proportions as to size, and it's enough of a challenge to make it interesting, even for adults. I always appreciate this kind of simple, relaxing game that I can play while listening to TV or music, etc. Thanks very much to GAOTD and MyPlayCity! I found if one downloads it again, (after deleting the first download), it will work. This is what I had to do, for the first time, I kept getting the error message about not finding the appropriate file. When I downloaded the game a second time, it worked fine. Didn't have to stop my virus protection programs to do so. I found if one downloads it again, (after deleting the first download), it will work. This is what I had to do, for the first time, I kept getting the error message about not finding the appropriate file. When I downloaded the game a second time, it worked fine. Didn't have to stop my virus protection programs to do so. Happy Holidays, everyone! 1: It is timed. I don't need more frenzy in my life; I play games like this to relax. 2: You are punished for too many false clicks. That's a deal-killer for me. No game has the right to punish me. Thanks, but I'll pass on this one. I love HOGs but read that this one has two issues I can't stand: 1: It is timed. I don't need more frenzy in my life; I play games like this to relax. 2: You are punished for too many false clicks. That's a deal-killer for me. No game has the right to punish me. Thanks, but I'll pass on this one. I prefer timed games and games that are very difficult, otherwise why play them. I really like ones that make you start over, if you don't finish in time. Most games are the ones you like. I am older and anything that strengthens the brain is good. Don't worry, the punishment usually just fits the crime. Have a good one. Dryad, I usually dislike timed games, too; however, this one seems to be giving us very adequate time for each page. I just played it for an hour, and enjoyed it very much. Ron, there are many people like me, who sometimes enjoy playing non-challenging games as a form of relaxation. Pie: The thing that looks like an actual pie isn't it. The thing that looks like Camembert cheese is. Pot: Happy guessing - because there's several - but they mean THAT one. Cookies etc: You just have to keep guessing, because again they mean THAT one (no, not this one, THAT one). Also note that they give you a 20 second penalty for clicking too many wrong items - which you have to do because of the shortage of hints and not really knowing what you're looking for - but it doesn't reset - so the very next wrong item you click will again give you a 20 second penalty... best advice I can give is click randomly until the level times out and then restart it and you'll have a better idea of what you're looking for. 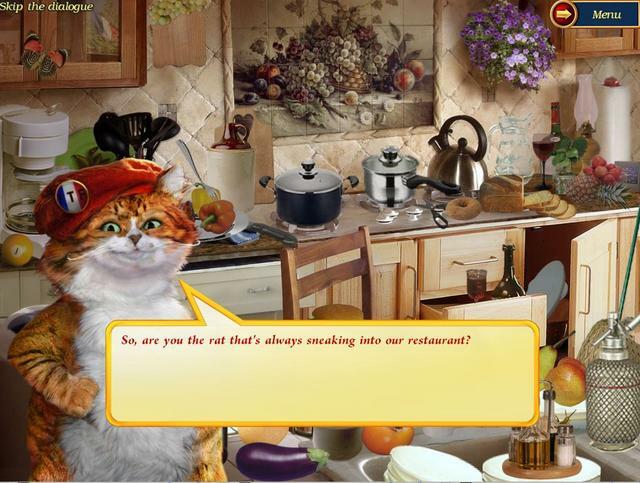 Simple hidden object game - cute story - not much variety - but is difficult to play because of the wrong English - so here's a list: Can: Look for a glass jar (don't click the can!) Pie: The thing that looks like an actual pie isn't it. The thing that looks like Camembert cheese is. Pot: Happy guessing - because there's several - but they mean THAT one. 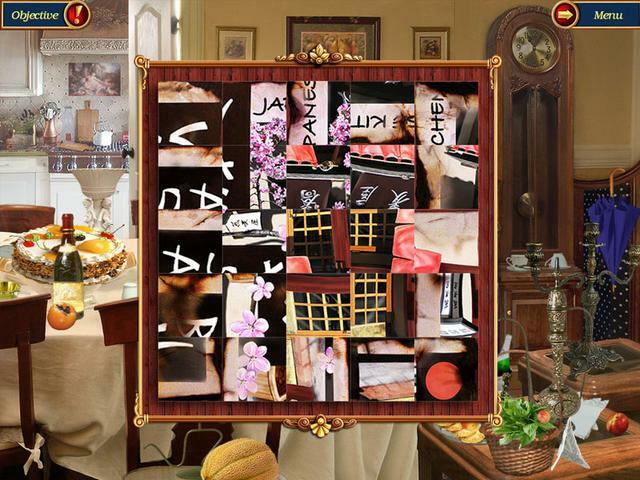 Mop: Look for a broom Marmalade Candies: Look for jelly sweets Flowers for Bouquet: This includes anything that is or has a flower in it Utensils: They mean pots and cutlery Cookies etc: You just have to keep guessing, because again they mean THAT one (no, not this one, THAT one). Also note that they give you a 20 second penalty for clicking too many wrong items - which you have to do because of the shortage of hints and not really knowing what you're looking for - but it doesn't reset - so the very next wrong item you click will again give you a 20 second penalty... best advice I can give is click randomly until the level times out and then restart it and you'll have a better idea of what you're looking for. Although this doesn't sound like my cup of tea exactly, thought I'd give it a shot (I do like HOGs and puzzles, just this one seems too simple and at the same time too confusing) but when I click on the download now link, and then "save" when it asks, it says "MysteryCookbook-if64tr.zip has been moved or deleted." No way to download. Try using a different browser to download the game. Also clear out your browser history and cache. If that doesn't cure the issue check your registry to see if there are any entries for Mystery Cookbook. If there are delete them all. Type regedit in the search field; once the registry editor is open click on 'Edit' then, from the drop down menu select 'Find' (Cntl + F), type Mystery Cookbook in the 'Find what' field, then click on the find next button. Delete any entries that include Mystery Cookbook, but before you delete anything, please make a backup of your registry just in case you delete something else accidentally. (I've been editing my registry for 20 years and have never caused a problem). After the first find you can just press F3 for the search to continue. 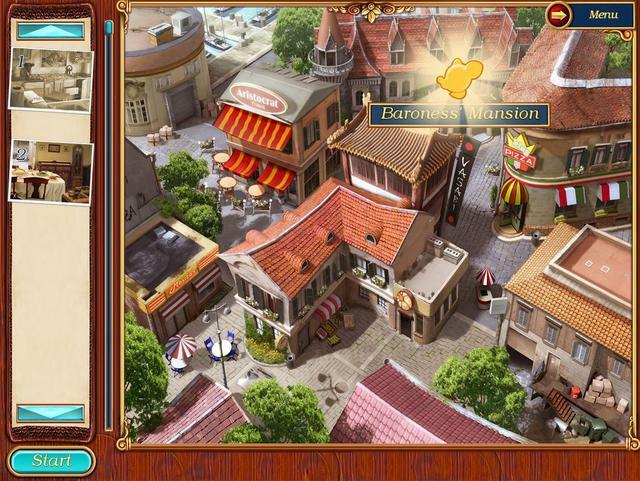 Once the search has completed try downloading the game again. As a precaution before you delete any registry entries, right click on each one (from the left hand panel) that you are going to delete and select 'Export' from the drop down menu. A window opens where you can name the file and select where to save it. These files are executable registry files that when clicked on will reinstall the registry entry you deleted. You can also save then as doc files, but the executable files are the most useful. I hope this helps?